Bangalore and the IT outsourcing industry have been at the heart of the Indian economy for over a decade now. But as things finally begin to shake and falter, has the time arrived for innovation? Kathryn Cave chats to Suchit Bachalli, Executive Vice President and Co-founder of Unilog Content Solutions, about Bangalore and the future of ICT. Unilog is based in Mysor, which is about three hours further South because, as Bachalli explains, “it feels like the Bangalore of the 80s. 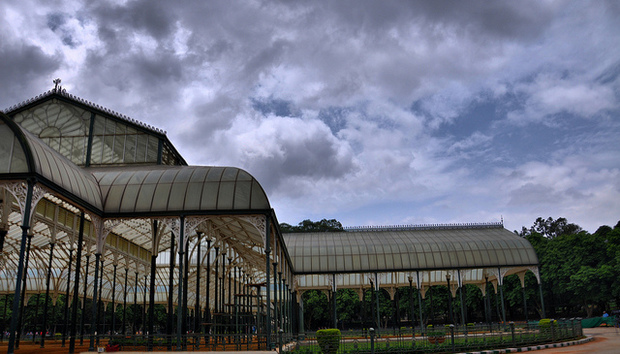 [Now] the government and policy makers need to consider moving out of Bangalore. The infrastructure of the city cannot take it anymore.” Yet Bachalli believes the problems with Bangalore run far deeper than simply overcrowding and congestion, they strike to the very heart of the ICT industry. The strain on the Indian outsourcing industry has been well documented. Mike Magee concluded an article on Indian Outsourcing on this site back in June with the warning: “The fear is that at some point the drive to keep costs low will hit a brick wall, and in 10 years there will be nowhere left where labour is cheap, leaving eight billion people on the planet looking for work.” And it is true; there is a constant quest for ever cheaper destinations… which puts Indonesia and the Philippines high on many international companies’ hit lists and could leave many Indian organisations simply competing amongst themselves. Bachalli thinks the real opportunity for Indian companies will to be to become innovative. “There are companies that are doing software development,” he says “but they are told what the solution is. Very few companies, in my opinion, are at the problem [solving] end of it and are actually designing solutions and implementing them worldwide. Yet many Indian companies are sitting on a goldmine of data.” This places them in an ideal position to offer truly unique solutions to unique business problems. The real problem for India may well be highlighted in Bachalli’s descriptions of Bangalore. This is the Silicon Valley of India, it is an extremely expensive place to live, yet it still suffers from typical Indian problems. The power situation for example is “better than other places - but it is still pretty bad.” And a lot of homes and businesses are run on private power fuelled by commercially available materials. This makes it extremely expensive and if the rupee continues to fall, and the cost of living continues to rise, it makes the situation on the ground all the more untenable. “Bangalore is not sustainable at this rate,” says Bachalli “It is hard enough for people who are already in the system, but what about today’s 14 year olds. I shudder to think what will happen when they get to be 24 and where Bangalore is going to be.” Bangalore does appear to be at a cross roads; the rupee is still falling; services are continuing to be outsourced to ever cheaper destinations. Maybe with India up against a solid brick wall the only thing for developers to do will be to innovate?